The External Access Control systems are for restricting the access to the premise. These includes the access control for vehicles and human beings. These are generally a mechanical gate consisting of revolving horizontal arms fixed to a vertical post, allowing only one person at a time to pass through. It can also be made so as to enforce one-way traffic of people, and in addition, it can restrict passage only to people who insert a coin, a ticket, a pass, or similar. 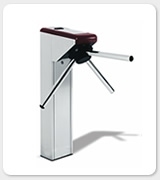 We promote Digicon Make Turnstiles a complete line of products for a wide variety of access control applications. Digicon has a good market experience, cutting-edge technology applied to mechanics and electronics, and a huge production capacity allow Digicon to offer robust, reliable, and versatile products with an innovative design. Catrax product line includes all of these features. The products are manufactured in different configurations and the models are versatile and easily integrated. The turnstiles can be used in business and residential buildings, clubs, fitness centres, schools, public transport systems and in several other venues. 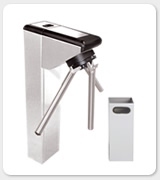 The Catrax Line offers models for various access control applications. Manufactured in several configurations and models, with versatility and ease of integration. 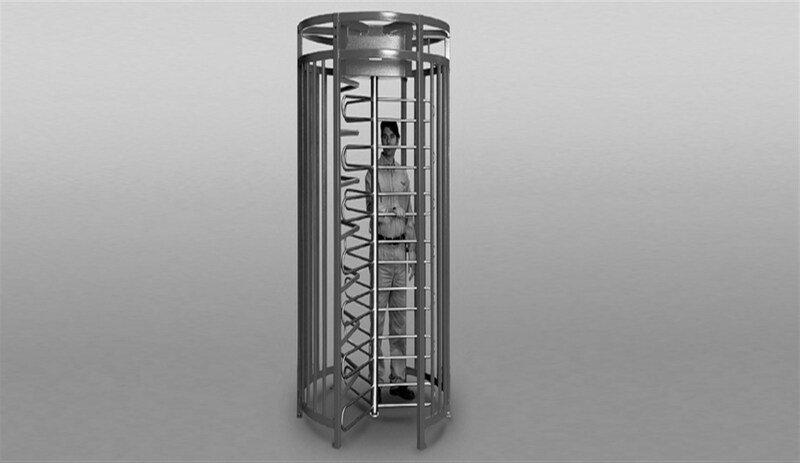 The turnstiles can be used in commercial and residential condominiums, clubs, gyms, schools, public transportation and a multitude of other situations. 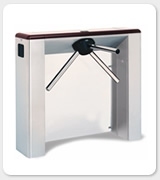 The Catrax Plus turnstile is the best access control solution available in the market. The models stand out for their versatility, attractive design and, especially, for their ease of integration with other security components, such as magnetic, biometric and proximity readers. The Catrax Plus turnstile pedestal has rounded corners and plenty of internal space to facilitate the assembly of electronic and other types of components. As access is gained by a key lock, there are no exposed screws. Arms with a 90-degree passageway allow for a smooth turn and lessen the impact of the turnstile arm on patrons after each passage. Catrax Master was manufactured in a smaller size, with lightweight materials, saving space and enhancing robustness. Its innovative design combined with the optional finish offer a broad variety of configurations. 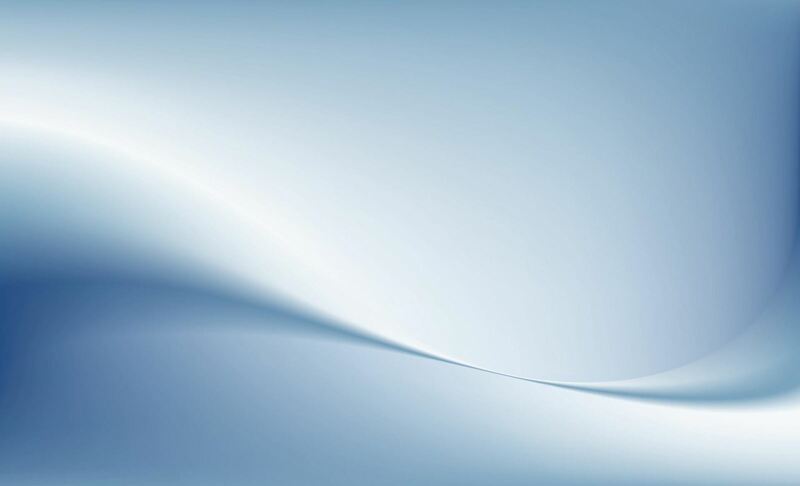 This allows customization, adjusting the product to meet specific needs. The pedestal can be manufactured in acrylic, polycarbonate, brushed stainless steel and temperate glass. The two columns at the ends provide more room for the system’s integration. This model is manufactured with a U-shaped mounting drawer that can easily be removed or replaced for the assembly and maintenance of electronic components. Access is gained by a key lock. The horizontal, bidirectional movement of the arm allows patrons to pass smoothly through the turnstile. The Catrax Clip column has rounded corners and plenty of internal space. As access is gained by a key lock, there are no exposed screws. The top panel of Catrax Clip is manufactured in high impact engineering plastic and is available in black, Bordeaux red and green (special colors can be supplied optionally). Furthermore, the stainless steel cover can be customized with the customer’s own brand identity. No-break system to keep turnstile working for 4 hours in case of power outage. Identification through finger geometry, increasing security in access control. 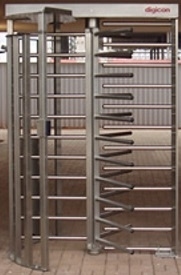 The turnstile is automatically unlocked or released by means of an emergency button in case of emergency. The pictograms on the side and at the top indicate access permission and direction of movement. Power source especially designed for Catrax products protects against voltage surges and short circuits. Microprocessor Controller Plate allows for total integration with a variety of market solutions. Card collection box with slot (1), blocking device activated by solenoid (2) and a data collector (3). Faster operations. Plastic cabinet: improved performance in reading by proximity and contactless Smart Card. Bidirectional access control for in and out passage of pedestrians. 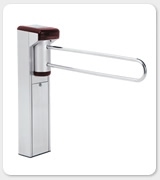 It is ideal for banks, condominiums, clubs, companies and establishments with high levels of security access control.